Dramatic actor known for his intense on-screen presence. He is remembered for his starring roles in such Werner Herzog films as Nosferatu the Vampyre, Fitzcarraldo and Aguirre, the Wrath of God. He served in the German army during WWII and in 1950, he checked into a psychiatric hospital, where he received a preliminary diagnosis of schizophrenia. 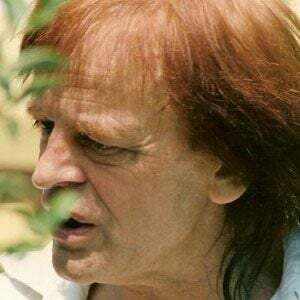 He became known for his outbursts while onset and Herzog released a documentary called My Best Fiend in 1999 that collected many of Kinski's most outrages moments. His daughters Pola and Nastassja and his son Nikolai all became actors. He played the role of Count Dracula in the 1979 film Nosferatu the Vampyre, which was an adaptation of the 1922 silent film Nosferatu that starred Max Schreck as the famous vampire.